The New Buildings Institute and Ecotope, Inc. recently found that poor operations and maintenance practices can increase the projected energy use by more than 50% in some climates. Though the maintenance operations were classified as poor, they were by no means atypical. Most interestingly, these researchers also found that occupant behaviour can increase the predicted energy use of a building by 80%. While it has been long known that actual energy performance often differs from predicted energy performance of buildings, this data shows just how much difference can result from occupant behaviour and maintenance. For more information on this research visit GreenSource’s latest issue. A recent Government Services Administration Study, in collaboration with the Pacific Northwest National Laboratory, on 22 federal buildings found that green buildings use 25% less energy and 11% less water than standard federal buildings. They also found that occupants were 27% more satisfied in the green building. For more information see Inhabitat’s article here. For a link to the GSA click here. Over 23,000 people attended Greenbuild this year in Toronto, the first time the U.S. Green Building Council’s annual conference and tradeshow took place outside of the US. After long discussions with the USGBC, this year also marked the first time there was a dedicated research track that included research and talks on the link between green buildings and health. With Whitney Grey PhD and Judith Heerwagen PhD, I presented new research on green roofs, health, well-being, and concentration. For those that missed the conference, click here to find out about obtaining the proceedings and viewing the program. 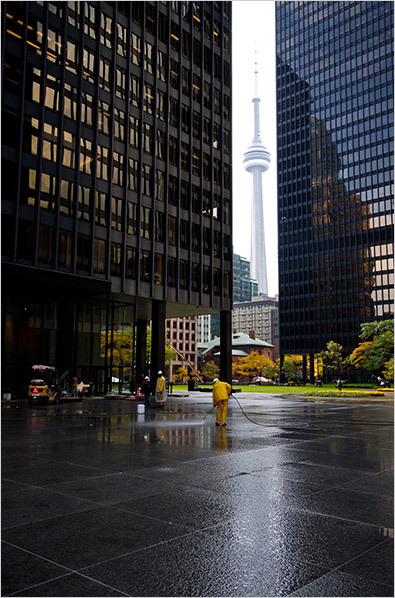 Faced with competition from new office space which will be LEED accredited, many Toronto landlords are retrofitting their office buildings in an attempt to remain competitive. Landlords and building managers are responding to both increased tenant interest in a buidings environmental performance and energy and operation savings. Toronto currently has more retrofitting in its downtown core than in other parts of Canada because of the large amount of new office space being built. These retrofits will be linked to the new LEED Canada for Existing Buildings: Operations and Maintenance (LEED EBOM) certification which will was introduced this summer by LEED Canada. According to research by Pike Research, the retrofit market is expected to experience strong growth in 2013 and beyond. For the full story, click here.